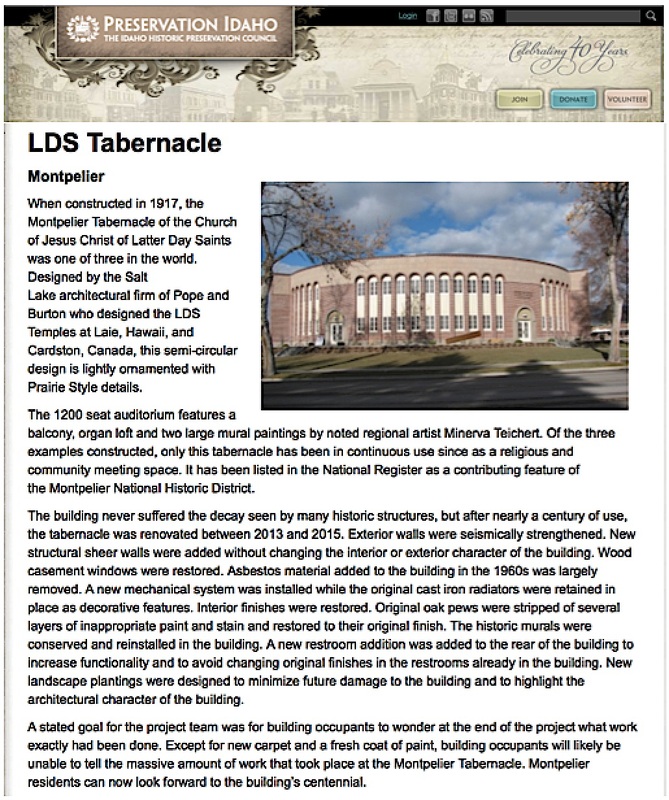 The State of Idaho named Fine Art Conservation Laboratories (FACL, Inc.) in its award of the Orchid and Onion Award from The Idaho Historic Preservation Council for the mural conservation treatments of the two Minerva Teichert murals in the extensive renovation of the LDS Tabernacle in Montpelier, Idaho in 2015. The murals were removed from the building in order for them to not be damaged from the extensive demolition that was to take place. During their removal, considerable mold behind the canvases of the murals was discovered. The murals received the mural restoration treatments at FACL’s facilities and then were reinstalled after all other renovation work was completed. Click here for a blog post with a short video about that work. 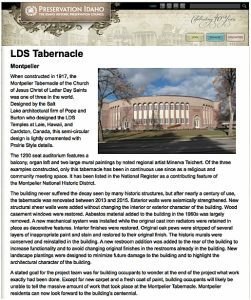 This entry was posted in Historic Buildings - Construction Sites, Murals and tagged historic preservation, mural restoration. Bookmark the permalink.